Easi-Speak USB Recorder Review and Giveaway! - The Resourceful Room! I was so excited this past week when I received this Easi-Speak USB Recorder from Learning Resources!! It took me a couple of minutes to read through the directions and figure out how to use the recorder, it's really simple! I couldn't wait to take it into the classroom and capture my students language skills! 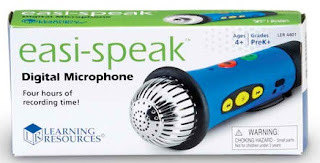 As a special education teacher many of my students have speech impairments and I've been looking for a way to capture them talking in casual conversation so the speech pathologist could hear them. This is absolutely perfect! I took it in the very next morning and demonstrated for my students how to use it (kindergarteners with learning and speech disabilities). It took them a few times experimenting to get down how all the buttons work, but they got it!! They started babbling away, and at the end of our session I couldn't believe all the samples I had to listen to!! I loved that it saved in tracks and you can skip through them even on the microphone it's self which has a play back option, and the option for using headphones! I popped the cap off the end of the microphone and plugged it into my computer, saved the "tracks" over to my computer and emailed them off to the speech pathologist. Simple, and soooo helpful for both of us!! 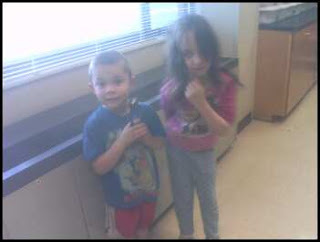 She was just as excited as I was to hear their voices in authentic conversation with each other! There are so many possibilities for using the Easi-Speak in the classroom. First off I've got a huge collection of books that I could record myself reading, no more expensive CD's to buy and store! I also want to have my readers record themselves reading so they can hear themselves, and I can go back ans listen after timed reading tests. My high school students were just as excited as my little ones to use this, they are going to do voice overs on their power point projects next week, and they were trying to come up with more projects that this could be used for!! Overall it's a great tool for use in the classroom, I would recommend it for all age levels! It retails for $69.99 but it's really worth it with the tons of possibilities for it's use. It's super simple to use, all of my students were able to use it independently. Transferring files to the computer was easy as well, they can be saved in two formats and it's compatible with both Mac and PC. Learning Resources has generously offered to give one of my lucky readers and Easi-speak for their classroom! I'm trying out Rafflecopter for this giveaway, use the form below to enter there are 4 chances to win! Good luck everyone! Really cool! I would love to use this with my students! I'd also love to be able to easily record myself reading books for our listening center...Right now, I'm limited to the expensive commercially-available books on CD. I've been wanting to record my kids to read fo ra while so this would be great for my kids. I would love this for our fluency practice. 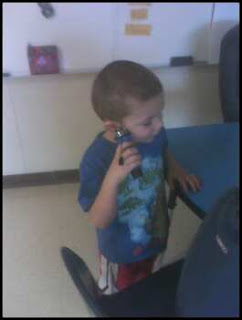 We wOrk daily on fluency and the kids love listening to themselves. It would be great to use with my inclusion kids, for assessment. Oh! This is funny! I just actually signed up with the learning resources to test a few products!! Hahaha! I have not received my first one yet, but I just got the confirmation a few days age that two items would be shipped. Thank you for linking up to my March giveaway linky!! I would love to use this to record books for the listening center. During Open House it would be great to have parents leave messages for their children. 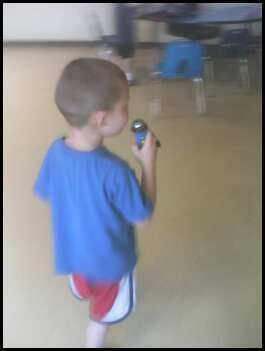 What kid doesn't love to talk in a microphone. This would definitely be useful in the classroom. This is awesome! I would use it to help kiddos build fluency: record themselves reading and then listen. I got a tape recorder to tape my students, but the sound quality is horrible! I'm working hard with my firsties on fluency and this would help so much! I would have the students narrate wordless picture books. I would record the students reading for fluency! I was also thinking about recording simple directions that could be played back. I would love to use this with my students as they read their stories and practice fluency! 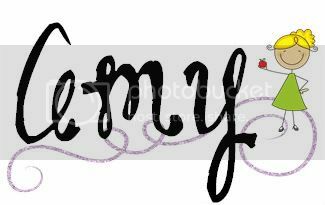 I blogged about your giveaway too Amy I hope that is okay! I think the Easi-Speak looks like such a great tool to capture language. I can think of so many things to do with it! I would use this for fluency with my ELLs! What a great resource. I would use this with my speech and ELL kids! Great find! I'm your newest follower. Drop by and see me sometime. 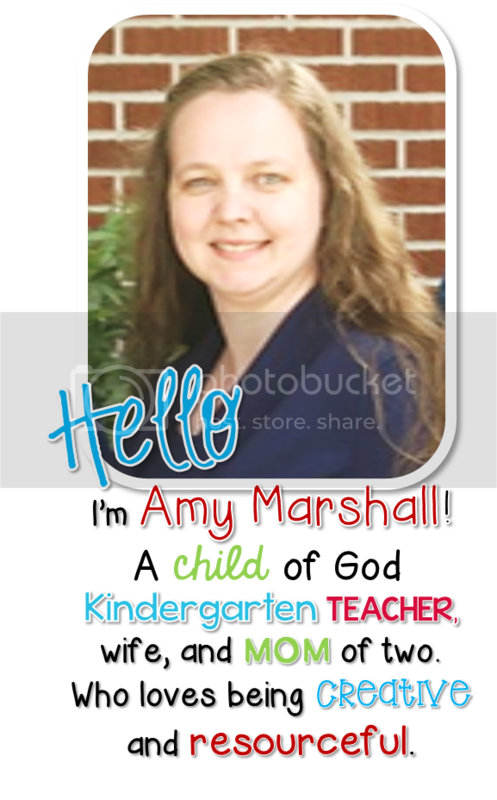 Oh my, I'm a Pre-K, K, 1 intervention specialist so this has so many uses depending on my students each year. For this year's kiddo's I have a student who is a selective mute but also has significant speech errors. She talks all the time when she is with me but will not say a peep for her speech therapist so I would use it to record her for the therapist. She would love it (my student)! I think this would be awesome for kids who have issues with writing. I went to a professional development program where we discussed the benefits of recording. Some kids have the ideas in their heads and are able to communicate them verbally, but not in writing. If they can speak and record their ideas and later scribe what they said, they're often much more successful! I have students who don't hear themselves when I'm teaching them to read with storyteller voices or teaching them to find where the periods should go in a paragraph they've written. I believe these are two instances where I could use this device to help them. Also, I love the idea of students recording themselves reading books and making them into CD's for our listening library! This microphone seems like the perfect resource I need to my 4th graders to record their poetry. We're planning on having a poetry cafe and at the end we want to hand out cd's of our favorite poems that the students can take home. This would make the recording process fun and easy for them AND expose them to even more technology.